Yes, you read that title correctly! I have a giveaway for you today. But first, I’m very excited to share a fellow Massachusetts friend’s newest pattern release! 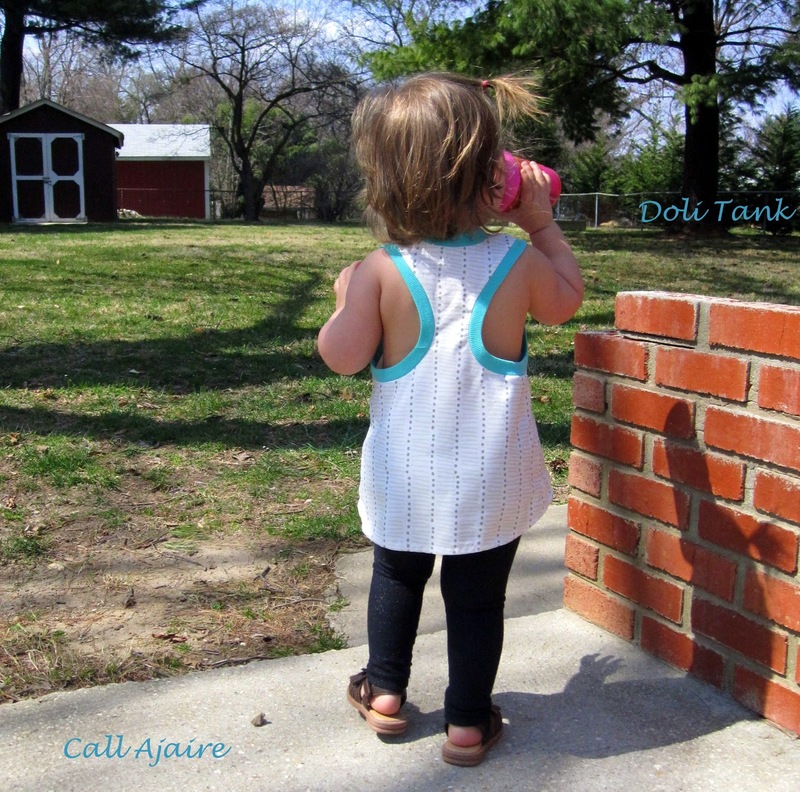 The Doli Tank from LouBee Clothing was released last night and I’ve been sitting on this post until it did, cause I’m dying to share it hehe. Sarah was nice enough to include me in her group of pattern testers and I cannot believe that she is fairly new to the digital pattern making scene. The pattern has so much attention to detail and there are lots of pictures that make it simple to follow along. As a tester, you always expect to find a few spelling or grammar issues or even accidentally skipping a step in the instructions. It’s only natural since the designer is completely submerged in the pattern making for WAY too long and it’s a forest-for-the-trees situation. But Sarah’s had no issues with the instructions. NONE. 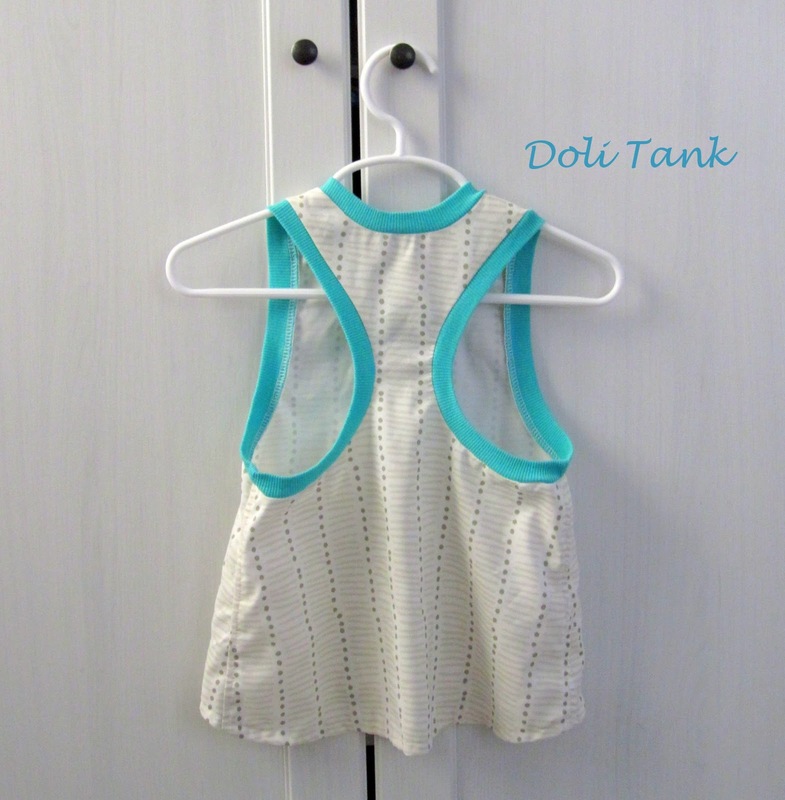 The pattern is thorough and the tank is a breeze to sew up. 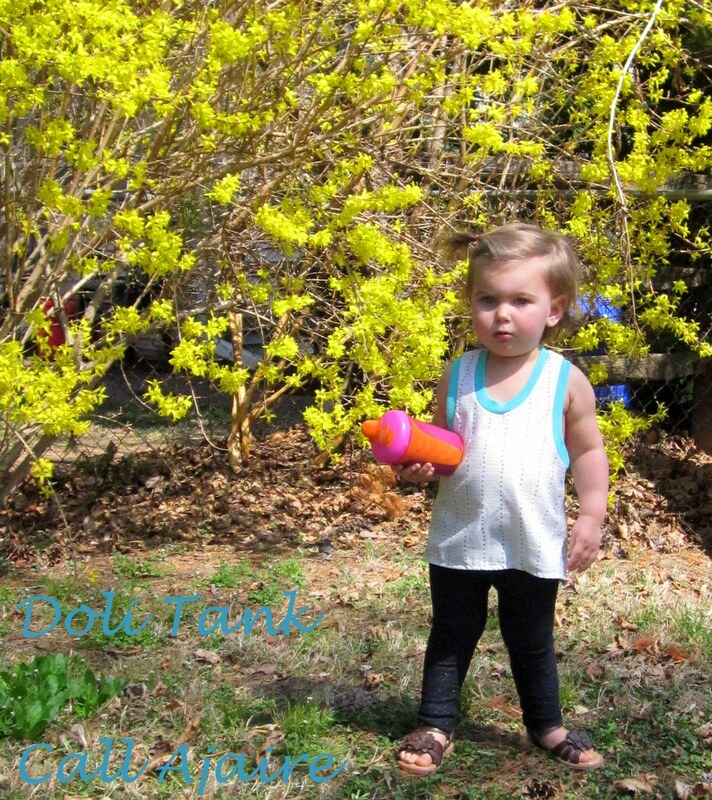 And speaking of “breeze,” the Doli tank (Navajo for bluebird and pronounced dough-lee) will be amazing for Bean during the Maryland humidity-filled summer. It drapes so nicely offering just enough coverage for a little girl, but still allowing the air to flow around her so I know she’ll be as cool as possible. We had a few especially hot sneak peak of summer days last week and Bean looked as comfortable as can be in the top. I made size 12-18m and it still fits Bean really well. The tank is generously sized so there’s a lot of room for growth at each size in the pattern, which range from 12M to 6. The recommended fabric is something lightweight and woven. A voile, lawn, or light linen would be amazing, but I had fabric from part of a comforter that was eaten by the washing machine this winter that had such a lovely drape I knew I wanted to use it. I have no idea what the fabric content is, since my mother is the one who bought the comforter originally and the tags have since disappeared (probably in the washing machine incident), but it worked out so well! The ribbing I used is a very lightweight ribbing I found in a clearance bin at some point. It doesn’t do a great job of acting like ribbing which should stretch and bounce back well, so I just (purposely) shortened the neck and arm bindings to accommodate the lack of stretch. A regular ribbing should not need this modification, but I was in love with the pop of bright turquoise and felt compelled. I should also mention that Sarah has narrowed the width of the ribbed bindings a bit in the final version of the pattern. That should make it even easier to make! Ok so on to the GIVEAWAY. 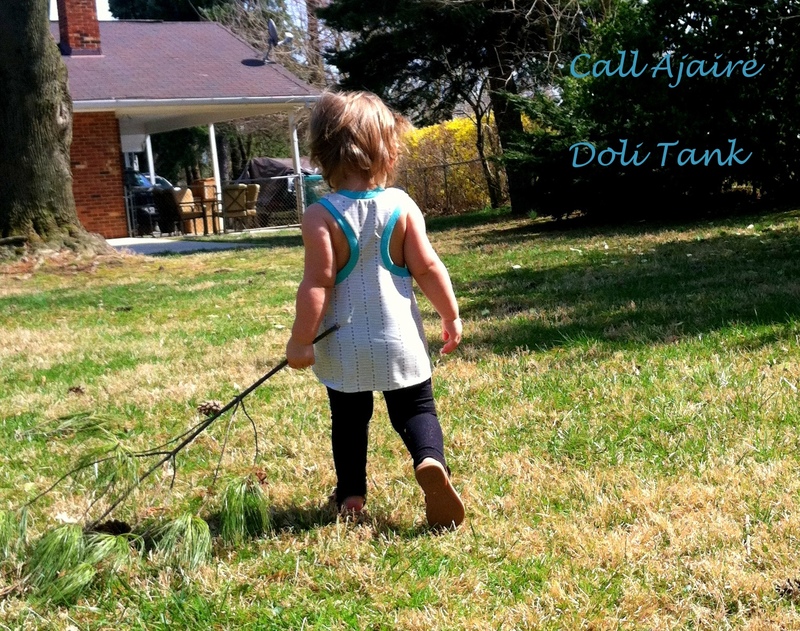 Sarah has generously offered to give one reader a free digital copy of the Doli Tank pattern! All you need to do to enter is to follow Sarah in one of the three following ways and then leave a comment here telling me which one you chose. Please make sure to include an email address so we have a way to get the pattern out to you. Following her blog via Bloglovin! Hey! I follow you and Emmyloubeedoo too! Thanks for hosting… your tank is so sweet & cute! Oh, this is incredibly sweet! I love the shape and that cute racerback. So cute on your little one, too. Cute! I would love to win and make this pattern for my granddaughters! I am following Sarah's blog!